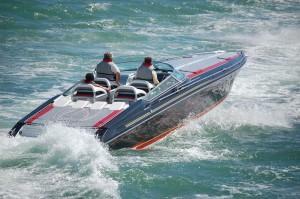 Boating is meant to be an exciting recreational sport for those who wish to enjoy the outdoors. It is a relaxing way to spend a day and in such a type of environment, one does not usually expect to suffer injuries from this activity. Boating accidents, though not as common as many other motor vehicle accidents, do occur and can result in substantial injury. At Van Sant Law, we are committed to assisting those who have been injured in a boating accident in Alpharetta and surrounding areas of Georgia. We want to see our clients obtain just compensation for the damages they have suffered. This is not an exhaustive list, however, and you can suffer injuries from a variety of conditions. It is normally not expected that a boating accident can occur and forever change your life. If you have suffered injuries from a boating accident caused by the negligence of another individual, it is likely in your best interest to retain legal assistance from an Alpharetta personal injury lawyer. Injuries that take place as a result of a boating accident can be very serious. Brain and head injuries are two common forms of injuries that can result in devastating life-changing effects. Head trauma can take place if an individual is unconscious and under the water for an extended amount of time because of the lack of oxygen. At Van Sant Law, we can help you handle the injuries that you have faced as a result of a boating accident. The aftermath of an injury caused by a boat operator or another individual’s negligence can be very difficult to handle. As your Alpharetta boating accident attorney, our firm can be by your side to help you retain the just compensation that is deserved. Our firm can review your case as quickly as possible to determine what approach should be taken in this circumstance. Your involvement in the accident and the injuries that have been suffered can play a significant role in the solution to your case. We take your case seriously and can prescribe a personal solution that is designed to obtain results. An experienced attorney from our firm can provide you with all your available options and all the necessary resources to obtain the compensation you deserve. Your case can be handled in a professional manner as we seek the highest available settlement. A personal injury claim can help you hold the liable party responsible. It is advised that you seek legal assistance from an Alpharetta personal injury lawyer to ensure that no steps in the legal process are missed. The manner in which the claim is presented is an essential component to the effectiveness of your case. By working with an experienced and skilled Georgia boating accident attorney, your chance of a profitable result is significantly increased. Call us today!